DHA Homes consists of more than 2000 houses, of which more than 500 houses are fully constructed. Many more grey structures are currently under finishing process. Location of DHA Homes is central in DHA Valley Islamabad. These homes are located along Lily Block & Oleander Block. If you happen to visit these homes, you have only access available from Kallar Syedan Road, where you find temporary access from SHAH Baagh & from Oleander Block where a small signboard of DHA Homes is pitched on ground. Main access road of DHA Valley i.e. DHA Expressway is still under construction, although more than half of the construction work is completed. The under progress bridge on railway tracks has also been completed. According to DHA officials, this expressway will not take more than 1.5 years to complete which, once completed, can change the destiny of DHA Valley. DHA Homes are beautifully designed houses with spacious rooms & accommodation. Designs & construction standards are aligned with the modern housing development standards. Bahria Town is the company responsible for construction of these houses and it has taken good care of the quality, standards, finishing and designs. 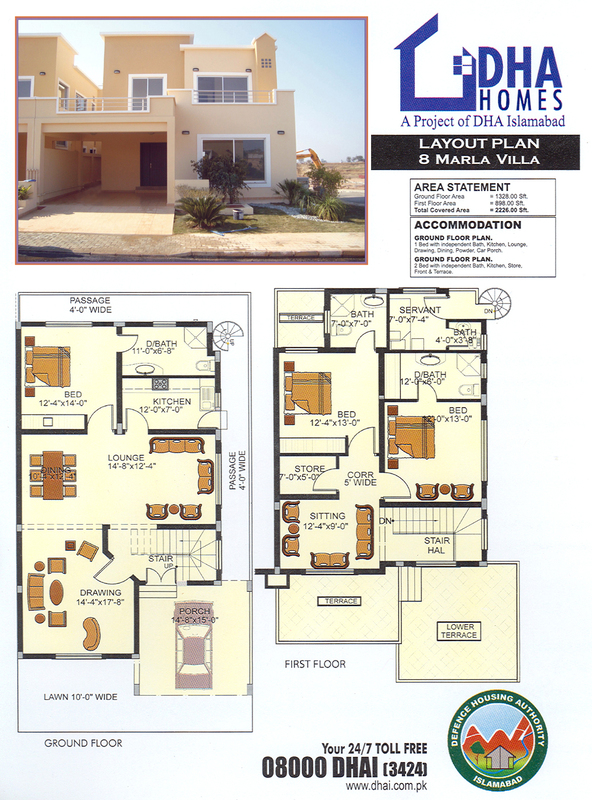 5 Marla homes are single storey, single unit 2 bed room independent houses with car porch/lounge and kitchen. These are ideal for a small family or self residence. Floors are tiled, and cupboards are attached in the bedrooms. High quality sanitary fittings are used in kitchen & bathrooms. 8 Marla homes are double storey, single unit 3 bedroom independent houses with car porch/drawing/dining/lounge/kitchen/store/terrance and a servant quarter. Rooms are spacious with attached bathrooms and floors are designed with beautiful tiles. Spacious cupboards are attached in all bedrooms. Kitchen is also good with solid cabinets attached. Quality of sanitary fittings used in kitchen and bathrooms is very good. 8 Marla house is well suitable for a medium size 4 to 6 members family. This is one of the cheapest investment options you have for this size & type of houses. If you calculate the cost of construction keeping in mind the quality and standards of DHA Homes, you will be surprised to know that your construction cost will be nearly equal to the overall cost of these ready-made homes. 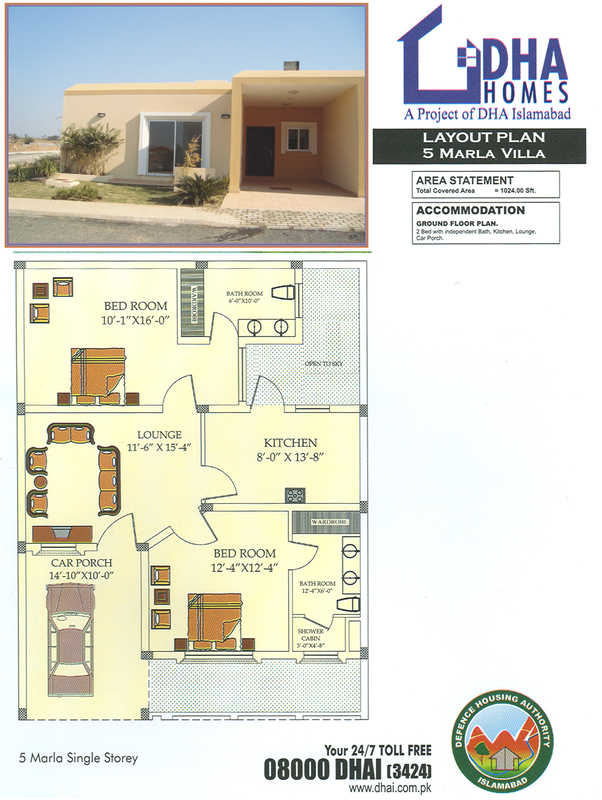 Cost of plot is additional which you save in the case of DHA Homes. All installments have been paid as of now and these homes sell at full payment. Current prices of DHA homes are still very low, i.e. prices of 5 marla homes start from 25 lacs & prices of 8 marla dha homes start from 50 lacs, therefore this is one of the most recommended investment options. 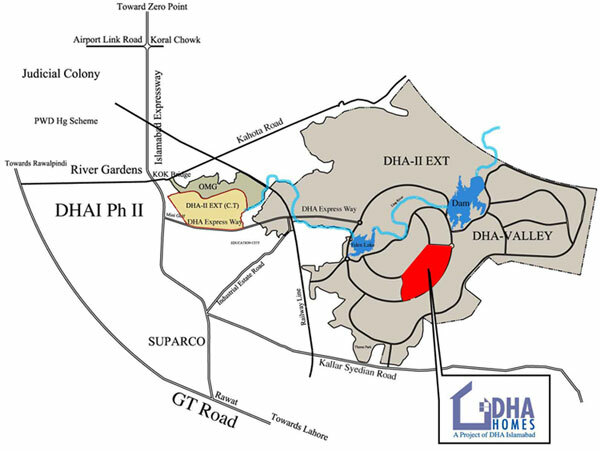 Provisional map of DHA Homes is available online which is subject to changes as per the revisions in the actual layout plan. 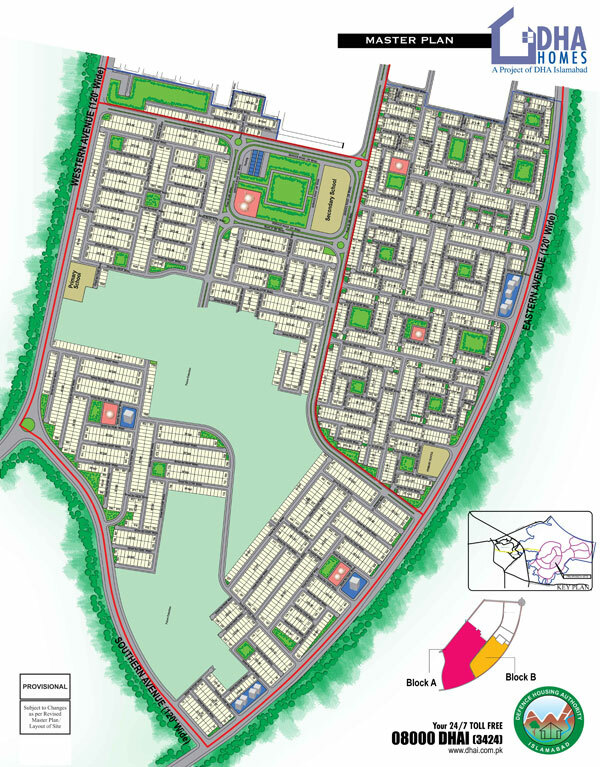 Revised final map will come out before the possessions as these homes will be numbered after expected reballoting as per the final layout map. This map consists of A & B blocks, where A block consists of 8 marla double storey houses and B block consists of 5 marla single storey houses. There is much area left in this map called as future extensions, which can be C and D blocks of these homes. We have confirmed from various sources including office of Defence Housing Authority Islamabad (DHAI) that the possession of these homes will be announced by 2016. Around 1000 homes will be handed over in the first phase and remaining homes will be completed & handed over by 2018. If you visit the location, you might think this is a perfectly developed livable place but incomplete DHA Expressway is the only reason left before DHA announces possession of the completed homes. Prices, construction status & standards are the most appealing factors of this investment. 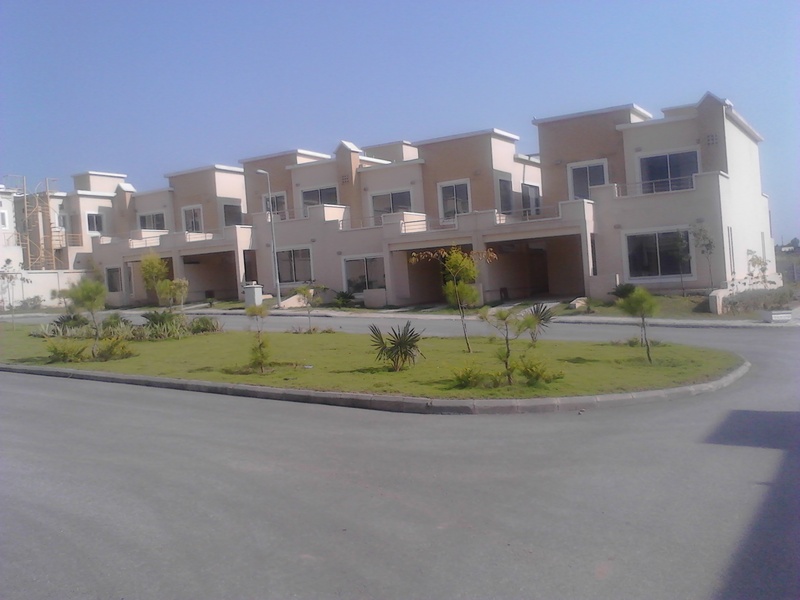 If you compare these homes with those built in Safari Valley of Bahria Town, you will understand the profit potential. Prices of single storey 2 bed safari homes range around 60 lacs and 8 marla double storey safari homes cost around 1.10 crore rupees. Once the possession is announced after the Expressway is completed, prices of these homes can increase by 70 to 100 %. Many investor choose DHA Homes for their medium and long term investment since there are many positive aspects of this investment. Major reason being the fact that this project is not in the air, but on ground. As there are so many houses completely built, this is just about possessions which can give stable boost to the value of your investment. See below the television commercial of DHA Homes.